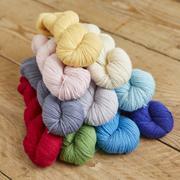 A Woolly Yarn: Can A C Knitwear Help Boost Your Knitting? Knitting clubs where the customer pays upfront to receive a pattern by email every week and a print book of them all at the end of the run are proving very popular at the moment. 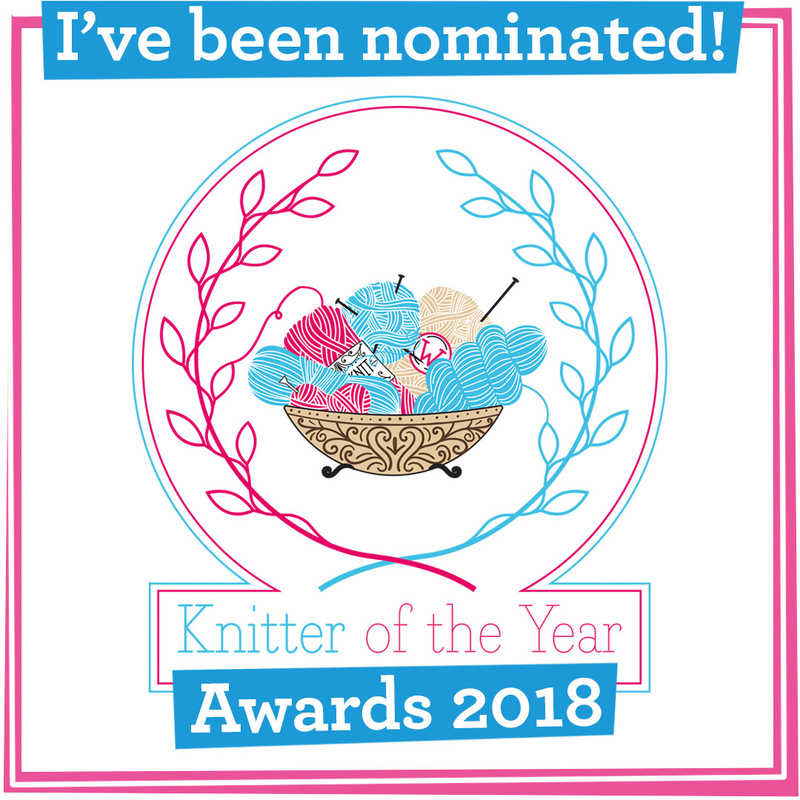 Kate Davies has used the format a number of times and is currently running her Knitting Season club, and other designers such as Ysolda Teague sell versions where yarn comes with the patterns. It's easy to see the draw of these clubs from both sides: the designer gets cash up-front and a rough knowledge of how many books to print/yarns to order, whilst the knitter has the thrill of seeing the new patterns before others and the feeling of being part of a special club community - often designers run Ravelry forums for their clubs. 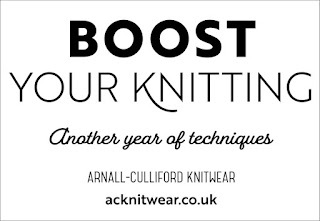 Now A C Knitwear, the married couple Jen and Jim who are based in Frome, Somerset, have announced a sequel to their A Year of Techniques club and ebook. 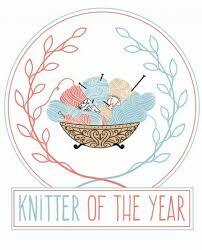 This time the emphasis will be on boosting your knitting skills. Making the announcement the pair said "we have twelve new techniques, twelve patterns from twelve fabulous designers, twelve sets of photo and video tutorials, and most importantly, twelve opportunities for you to experience the joy of learning something new!" Prior knowledge of the first year of techniques isn't required. Despite the enticement of learning new knitting skills, my hesitation in joining such clubs comes from a financial standpoint. I'm dubious about paying money upfront without knowing what I'm paying for. Like most knitters I have a limited budget for patterns and I want to ensure that I'm going to want to knit what I buy. I don't like shawls or wraps (a personal preference), have lots of hats, cowls and mittens I've knitted already and am picky about the styles of jumpers and cardigans that suit my short body shape. Therefore it's great to hear that before the club membership goes on sale on Thursday 7th February (£30 including P&P, a digital pattern a month for 12 months and a print copy of the patterns in September 2019) the duo will be announcing the techniques that will be covered in the book along with the list of designers the pair have worked with to create the patterns. To keep the air of excitement and exclusivity though, the designs themselves will still remain secret. Post-Christmas finances plus a trip to Edinburgh Yarn Fest in March, where I'm bound to be tempted to buy something, mean that I'll have to think heavily about whether to subscribe. I can say though that I have knitted with A C Knitwear's own yarn Something to Knit With 4Ply, a blend of 70% highland wool and 30% superfine alpaca, and am impressed with its softness, stitch definition and lack of splitting. If the patterns use this yarn, which also comes in aran weight (leading me to wonder whether a DK version will be coming soon) then that'll certainly be a point in its favour. 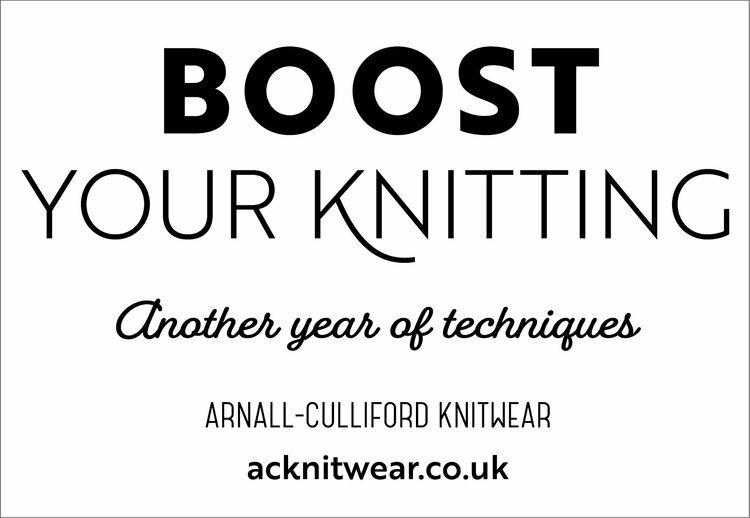 The Boost Your Knitting club will be available to buy from A C Knitwear's online shop from Thursday, 7th February.